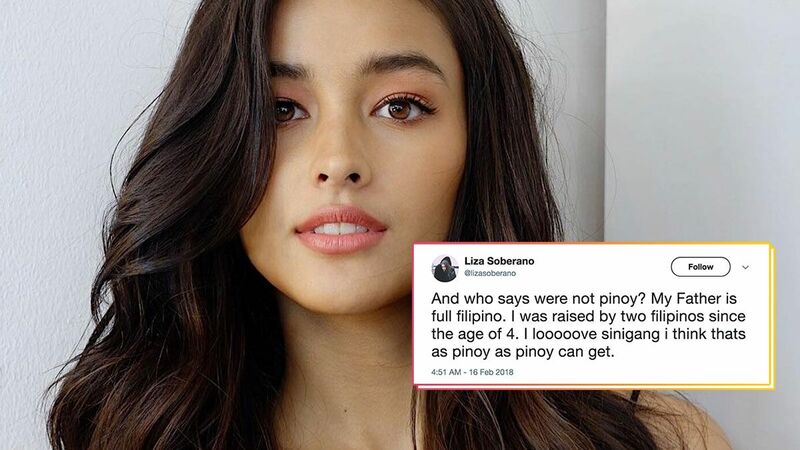 20-year-old star Liza Soberano recently sparked controversy when she responded to an ongoing argument involving her being cast in the upcoming ABS-CBN fantasy series Bagani. The Kapamilya show drew flak from netizens after it was called out for casting actors of American and Spanish descent (Liza and Enrique Gil, respectively) in a program that is advertised to be inspired by Pre-Colonial Filipinos and Philippine mythology. "And who says we're not Pinoy? My father is full Filipino. I was raised by two Filipinos since the age of four. I looooove sinigang. I think that's as Pinoy as Pinoy can get." The show's head writer Mark Angos went on to clarify that Bagani is set in a "fantasy universe" and is not historical fiction. But kidding aside, what remains at the core of this whole controversy are the issues of misrepresentation and stereotyping of Pinoys in local media. What are your thoughts on this whole issue, CGs?